It is NOT Moeen, Stupid! So where the buck stops? Initially some may have had an utopian belief that it was Fakhruddin Ahmed. 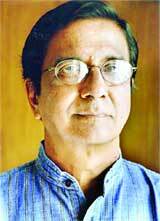 Then someone kept thinking of Masud u Chowdhury, who led the 1/11 coup, as the concerned authority. And lately the name of Zahangir Alam, a Lt general and the Quarter Master General of Bangladesh Army is coming up as a major power broker. Despite all these speculations, Army chief, General Moeen U Ahmed has successfully managed to look like the man in control. With the sacking of four apparently powerful advisors ( keeping Moinul apart, with two relatives in the cabinet, Geeti Ara shafiya Chy was not less powerful either) the question again came up, who makes these decisions. No doubt Fakhruddin is the puppet. He caries orders of his master. And if one looks at the steps this government is taking lately, one must see the slow materialization of the policies laid out by General Moeen in the speeches he made during early days of his rule. So the next question is who is Moeen and does 1/11 means Moeen? Who Moeen represents? Is he the embodiment of the toiling masses of Bangladesh? Or is he simply the symbol of all powerful Bangladesh armed forces? Common sense and a little bit knowledge of the personnel at the top leadership of Bangladesh army will lead us to believe that this “General Moeen-1/11 government-the school text book assertion of Ershad instead of Zia as the architect of SAARC” axis does not represent Bangladesh armed forces. Then, does he represent the toiling masses? Hell no. Yes, a mall part of the mass, some middles class bourgeois car owning Dhakaite and and a small group of suburb living ‘do nothing’ mediocre NRB professionals may support him . But in the big picture of Bangladesh reality, these group is minuscule. Still 1/11 means Moeen, but this Moeen is neither the embodiment of Bangladesh Armed forces nor the dream representative of the toiling masses. This Moeen represents a very powerful quarter in Bangladesh. In fact this powerful quarter is the dreamer and facilitator of 1/11. In that context General Moeen is the embodiment of a combination of larger than life figures like Kamal Hossain, Rehman Sobhan, Mahfuz Anam, Motiur`Rahman, Debapriya Bhattachariyan, Faridur Reza Shagor or other civil society leaders AKA retired bureaucrates or Generals like Mr. Shahjahan, M A Hafiz, Gen retd Hasan mashud, Gen Shakhawat or other so called civil society leaders. These folks took a big risk by going against two major political leaders of the country and at this point to save the skin over their gluteal region, they must make Moeen the winner. So when you see or hear Moeen, make no mistake about it that it is either kamal Hossain or Monzur Elahi or Enam ahmed chowdhury or Saadat Hossain speaking. They are hiding under the facade of Moeen. Remember that these people, e.g. kamal Hossain knows quite well that they will never be able to pass the first hurdle of democracy i.e. win an elction. For them, 1/11 kind of conspiracy is the only way in. Moeen is the tool here. It is NOT Moeen stupid. Debapriyo: Always kept being bribed by AL to make statements favoring them, an undercover footlicker who always cared about no interest of Bangladesh. Manzur Elahi: An ex-amla, i guess the word ‘amla’ explains a lot. Matiur: He is good in licking, believe me. Rumi Bhai, if tomorrow you are the army chief of staff and I am the quarter master general, we will have our feet well-licked by this kraut. He is the kind of man, “Shokter Bhokto, Noromer Jom”. Moeen U Ahmed showed him his guns (did the right thing after all), and Matiur started licking his feet. I won’t be surprised if Matiur is communicating bigshots in USA, his real masters to plot against Moeen by this time. Mafhuz Anam: A real dirty piece of man, a grossest dalal. I don’t who is led by whom, Anam is by Matiur or Matiur is by Anam, or both of them by anybody else. As expected, both Prothom Alo & Daily Star have published a small 2.5inch column explaining “Why These 4 Advisers Were Not Popular”, tried much to justify the firing of these four advisers. Men like Matiur & Anam, people never understand that how harmful these two men are for further progress of a countr. They can change their colors at any time, any moment. I think we should warn our General to keep away of these crooks, because, when he will be gone, it’ll be PA & DS, who will try to justify his exit. I think General Moueen Uddin Ahmed should read this post immediately. Any of DGFI man here !?! Please show this post to your boss. He needs to read this, in fact you need to read this too. My question is, why Bangladeshi people would pay for such organization which cares about hell but not Bangladeshi interest? Not sure Rumi bhai. Not sure at all. Yes, the other 5 in the picture has had an agenda. They have a particular idea of what Bangladesh should be. That idea, in many respect, is completely out of touch with the views of majority of voters who support AL and BNP. They think that the bhodroloke government will help them achieve their vision. Yes, I accept all this. I also accept that this is undemocratic. For someone schooled in Marxism-Leninism like Matiur Rahman, bougeoise democracy and elections are just means to an end. In that respect, there is not much difference between them and Jamaat. What I don’t buy however is that in a relationship between these bhodrolokes and someone with guns, bhodrolokes will be calling the shot. Sure they goaded Moeen to take over. Sure they thought they could control Moeen. But now that Moeen has taken over, I don’t see why Moeen should do the bhodrolokes’ bidding. Moeen is his own man. His source of power, until he finds a political vehicle, is the army. He has learnt from all the other army men in Pak-Bangla. He is very shrewd. He may make a deal with AL. He may hijack BNP. He may do a combo. And he may fail to do any of these. But I just don’t see him bowing to Matiur Rahman and Kamal Hossain. If Moeen U Ahmed is a man of guts, he will never care about what Kamal Hussain says. Because, Kamal Hussain is a person who has the share of buttered breads of all of regimes took over power in Bangladeshi history. He is one of major writer of the constitution and he exploits this identity with utter stupidity. I can’t understand that how an “Antorjatik Khyati-shomponno” man like him let himself drive in ‘hujug’. I would rather use the term embodiment or ideological alliance out of convenience. It is not controlling of Moeen. It is more of a symbiotic`relationship with each depending on the other. We can come to a very straight cut summary of all of these… none of its consequences will be positive for Bangladesh, will not bring something good for Bangladesh out of it. Some says, Moeen and his council has entered into a box which has only the way to get in, but no legitimate way to get out. I do not disagree this one, but what I guess, this regime will hand over the power to another group of people, will disappear then, and ultimately shoes, angers, love-sessions of public will fall upon that third party. This truth has been guessed by many of intellectuals by this time, that is why many have not agreed to be new advisers. Well, here’s a different way of looking at things. The army pays very close attention to what the UN, US, UK, Saudi and Chinese, among other missions, say. And the US, UK, and UN missions, themselves, pay very close attention to what the five people Rumi bhai mentioned say. This government, like military governments everywhere, may make grandiose claims about defending national pride, but without any popular mandate to back them, are really helpless to resist foreign pressure. Your analyses and comments are, most times, very interesting, informative, inflective and reflective. You named 5 mega-cons[conspirators]with Moeen in the hub. But I believe you missed the biggest Nut, the symbol of dark force, Mr. Serajul Alam Khan. 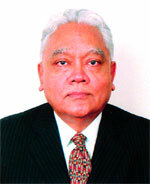 I’m not sure but one of my friends said GMUA is the nephew of the great Guru SAK [Serajul Alam Khan]. And if that family profile of GMUA is true, then certainly he has the brain of the mystic devil behind is scheme. about what is stored in for us in the near future. God saves us from all the evils. Take my Lal Salaam. I see the ressurection of OUR Malcolm X in you. You are definitely an evolutionary soul among millions of ‘Mediocre Joy Banglas’. Keep enlightening us, thanks. Have You Seen This Movie Lately? Portrait of new “Three stooges”. Starring Hamid Kharzi, Neighbor Kharzi – Pervez Musharraf and Bangladeshi Kharzi – Fakruddin Ahmed. Scripted by: Sushils, Transparency Int’l, CPD, Prothom Alo, Daily Star….and its dummy sinister HR sidekicks…. Now playing as part of “War on Terror” in all Muslim states of South Asia. Viewer discretion is not an option.